The United Arab Emirates has denied coming under a missile attack by shi'ite rebels in Yemen. The Houthi movement had earlier said they'd targeted a nuclear plant under construction. The denial came as heavy fighting in Yemen's capital unraveled a rebel alliance that is at war with a Saudi-led coalition, including the UAE. A spokesperson for the Houthi military claimed it had launched cruise missile at a UAE military target. He then accused one-time ally, former Yemeni president, Ali Abdullah Saleh and his militias of "attempting to create divisions inside Yemen despite being unable to sustain any military gains or political gains or economic gains". Later a rocket reportedly hit the Iranian embassy in Sanaa during the clashes between the Houthis and Saleh supporters. The violence follows Saleh's announcement that he is abandoning the Iran-aligned Houthi if the Saudi-led coalition stops attacking Yemeni citizens. The coalition, which includes the United Arab Emirates, is trying to help Yemen's internationally recognised President Abd-Rabbu Mansour Hadi back to power, but it has struggled to advance against Houthi-Saleh forces. A split between Saleh's armed allies and the Houthis could tip the balance of power. 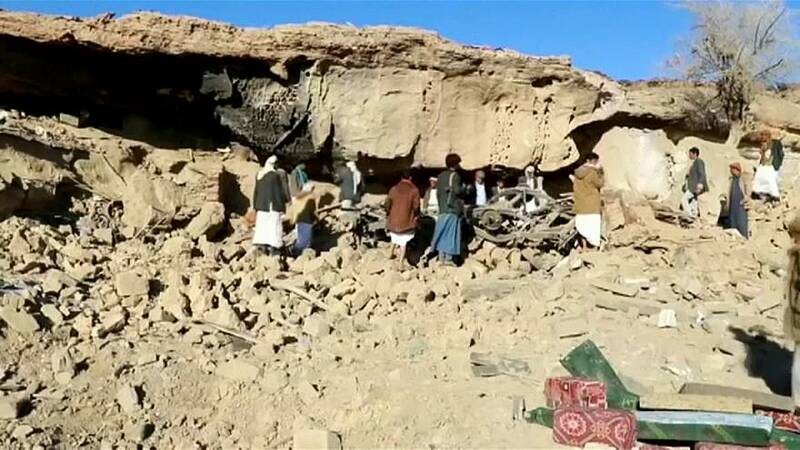 Residents, however said on Sunday that a coalition airstrike on Houthi-held territory had killed at least 12 people.